A major report, "Trigger-Happy: Israel's Use of Excessive Force in the West Bank", is being released by Amnesty International today. 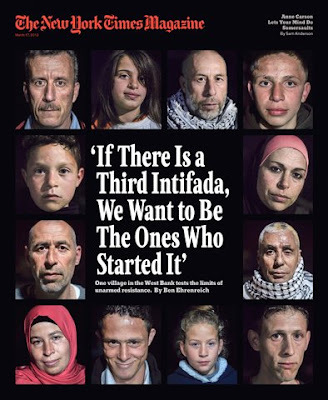 We have only managed a quick read-through this morning, but can't help noticing it includes 32 mentions of the Tamimi tribe which proudly claims as its own a hugely-celebrated convicted mass-murderer. And it refers to Nabi Saleh no fewer than 25 times. That's the name of a dusty, undistinguished place north of Jerusalem about which we wrote last year: see "17-Mar-13: A little village in the hills, and the monsters it spawns". Nabi Saleh has brazenly re-invented itself as a symbol of the human rights movement, providing a platform for individuals like Bassem Tamimi, photographed in the report over a caption that honours him with the title "a human rights defender", who are thoroughly and successfully exploiting it. A year ago, a New York Times Magazine cover story said Nabi Saleh has "achieved a measure of cachet among young European activists, the way a stint with the Zapatistas did in Mexico in the 1990s”. But thinking of Nabi Saleh and the Tamimis as being part of the human rights industry involves taking an extremely selective view of the evidence, and ignoring large parts of it. For instance, you can look at the village's entry in Wikipedia which paints its 550 residents in notably gentle terms. Centred on an old religious shrine to the prophet Shelah whom we encounter in Genesis as the son of Judah and grandson of the patriarch Jacob, it was a hamlet of a mere five houses in the late nineteenth century when the Turks ruled the area. It grew slowly under the Jordanian military occupation that started in 1948; then declined when Israel took control of the West Bank in 1967, and flourished and multiplied in the past two decades. Today, it’s the scene of weekly protest demonstrations and, to judge from Wikipedia’s English-language version, a place where things are done to passive inhabitants and for no apparent reason. But there's an entirely different emphasis when you go to the Arabic-language version of Wikipedia which is not a direct translation of the English version. It's created by different people for a different audience and different sensibilities. The Arabic Wikipedia entry depicts Nabi Saleh as a place of “popular resistance” that boasts of having taken a prominent role in two Intifadas, providing “hundreds of prisoners” and 17 so-called “martyrs on the altar of freedom”. The most prominent of the prisoners (that's Wikipedia's description) is a woman called Ahlam. Her surname is shared with almost every other inhabitant of the village: Tamimi. 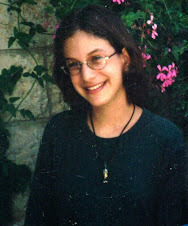 Ahlam Tamimi is in fact the self-confessed engineer and planner of a bloody terrorist attack. 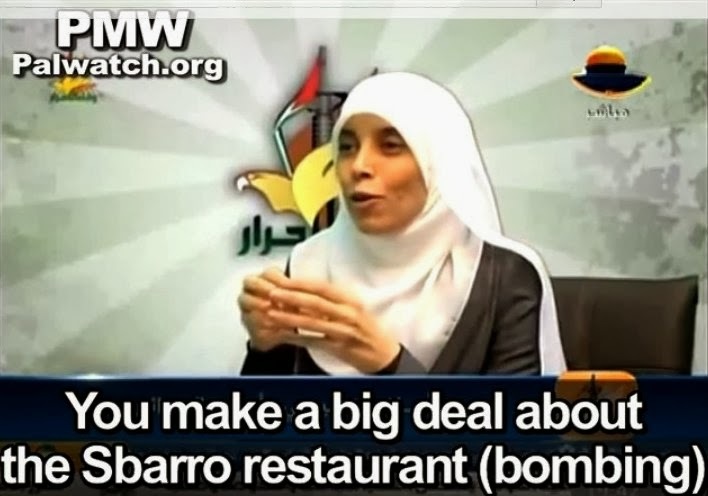 By her own account and after several scouting forays, Tamimi selected a target: the Sbarro restaurant in the heart of Jerusalem, on a hot August afternoon in 2001. She chose it, she has said on video, because she knew it would be teeming at the appointed hour with women and children. She brought the bomb, enhanced with nails and bolts to maximize the carnage, from Ramallah across the Qalandia security checkpoint and into Israel’s capital. Israeli soldiers still waived females through without inspection in those days. Tamimi has always lived in Amman, other than two years in Nabi Saleh while attending university and her prison years. 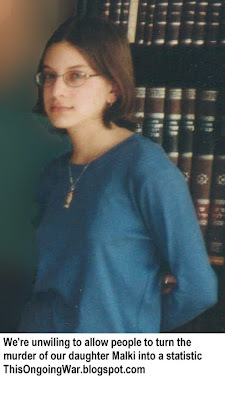 Since her release, she has married another Tamimi, also a convicted murderer freed in the Shalit deal. He too is a home-town hero in Nabi Saleh. The host of her own weekly show on Hamas TV, the female Tamimi travels freely throughout the Arab world to address her many fans, accepting accolades and trophies while urging others to follow in her footsteps. None of this is mentioned in today's Amnesty International report. Being as fair as we can, it's possible that this is because, being fully aware of the background and having decided it was of no relevance to Nabi Saleh's newly-crafted status as a Mecca of protest, Amnesty's editors decided not to trouble their readers. Or it may be that they don't know. Or care. Its publication coincides with the anti-semitic BDS movement’s annual week of anti-Israel activities, promoting boycotts and sanctions via systematic demonization of Israel. "Trigger Happy" repeats Amnesty’s previous calls for political warfare against Israel and in particular, an arms embargo. Its accusations are "reckless, blatantly biased, and reflect the lack of a credible research fact-finding methodology”. They also demonstrate once again Amnesty's disproportionate and ideological obsession with Israel”. “Amnesty lacks the expertise and credibility to analyze or assign blame for deaths in the context of violent confrontations in the West Bank. As in the past, the allegations in this report repeat unverifiable Palestinian ‘testimony’”. There's some history to this, too. In 2009, Amnesty played a central role in the discredited Goldstone report on the Gaza conflict, as well as in a number of other allegations targeting Israel. No definitions or comparative data are provided to support Amnesty’s politicized allegations that Israeli forces are “trigger happy” and “reckless.” In fact, a review of police conduct around the world reveals that Israeli police and military conduct is far more restrained, considering the constant state of armed conflict and the sheer number of lethal situations that justify the use of deadly force, including violent riots and terror attacks. As NGO Monitor has previously shown, Amnesty’s so-called research team on Israel comprises two individuals with backgrounds in anti-Israel political activism, not military and legal expertise. Amnesty International should be ashamed of its role in exploiting the moral foundations of universal human rights to wage political warfare against Israel.